The RATStands Jazz Stand is a stand of a professional quality that features a telescopic stem produced using anodized aluminium. 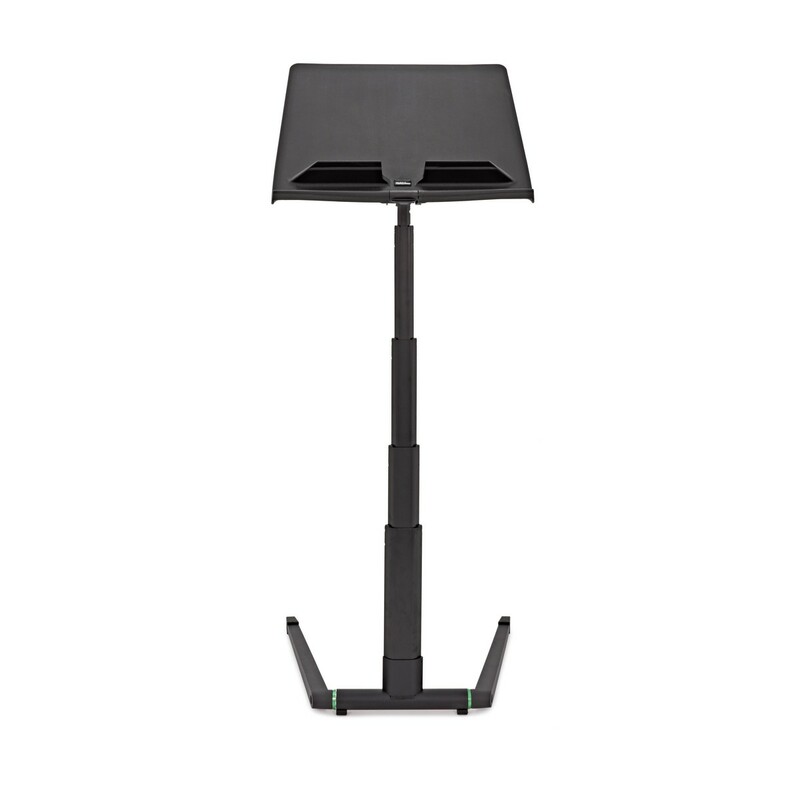 This Jazz stand has a full range of height adjustments, industry standard stability and a full size music tray. 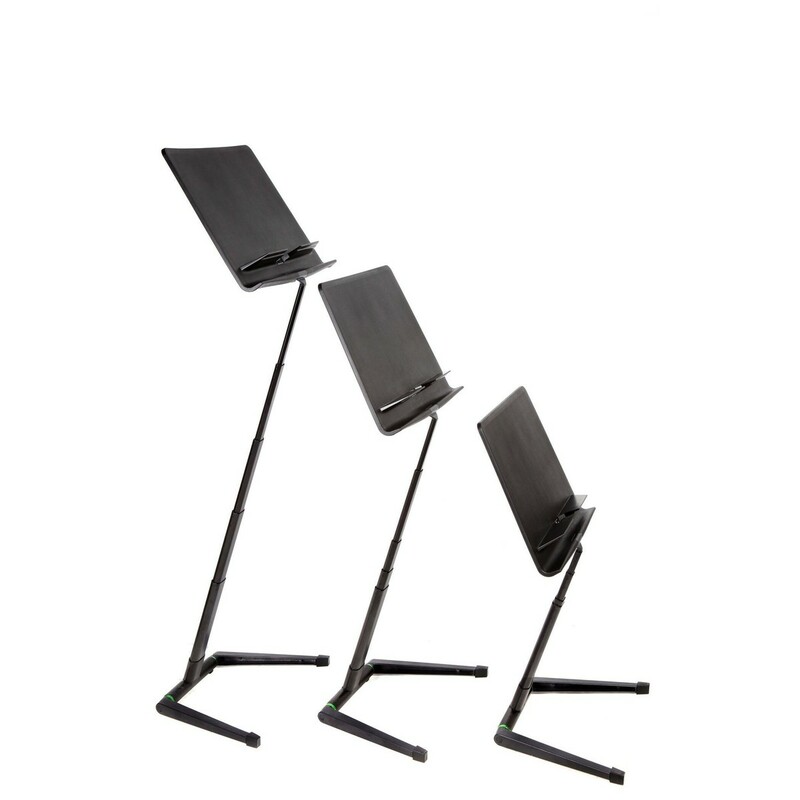 The stand can be folded in three movements preventing the need to dismantle, saving time whilst also being convenient for a travelling musician. 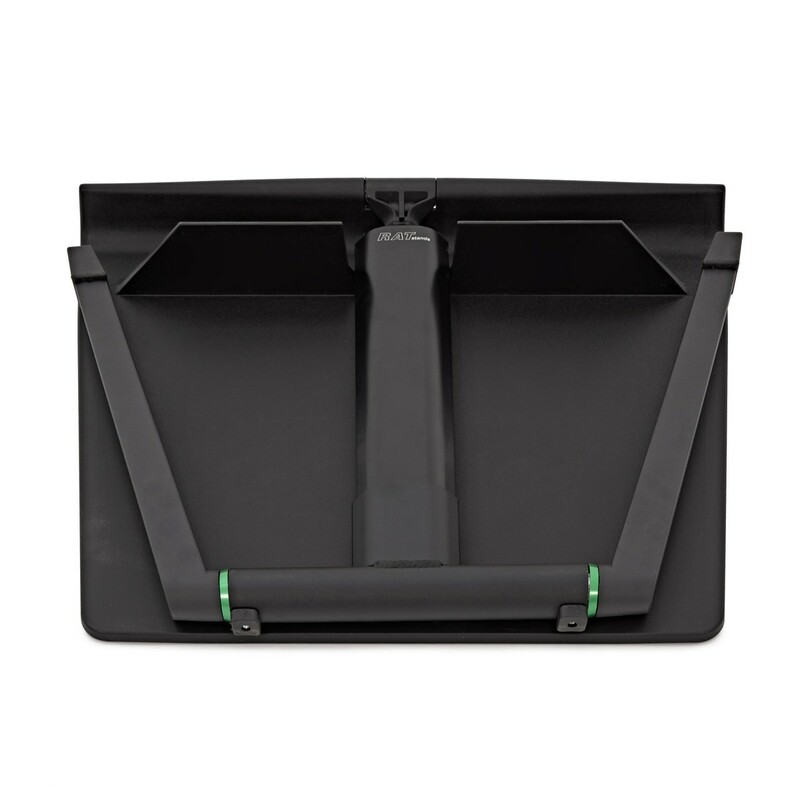 Once folded, the stand can be interlocked to form a neat pile that is compact and easily transported to and from destinations. The base is made up of aluminium legs featuring an epoxy coating and rubber feet. Use the provision to adjust the angle of the stand to suit your needs as opposed to needing screws or levers that could easily get lost. This stand also features an additional shelf for pencils and small instruments. Please note images are for illustration only and this price is for one stand only. This stand just got better with its included manufacturer's warranty to keep your mind at rest. Now you can enjoy using your new purchase knowing that it's covered for a whole 5 years. When the Jazz stand is unfolded it is adjusted using the friction joint to either lower or raise its height. 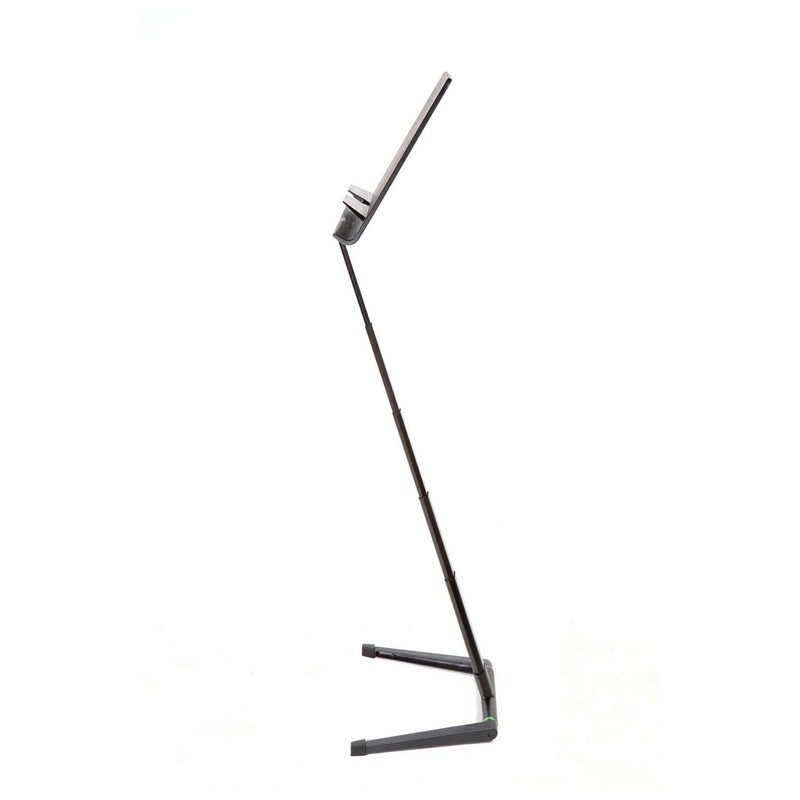 The friction joint ensures that the stand stays upright and gives it extra stability. The anodized aluminium stem is strong, rigid and light all at the same time. These properties enable the stand to stay upright and stop it from swaying or falling over when knocked. Thanks to the injection moulded tray the Jazz stand is virtually unbreakable. If it is bent it springs back into its original shape to quickly prevent long lasting damage. 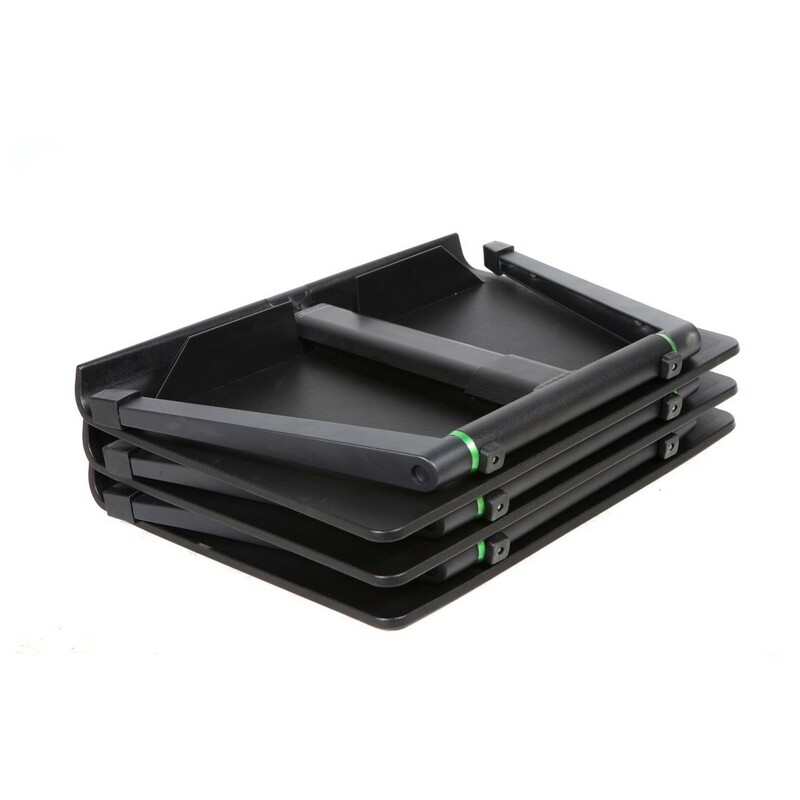 The tray has smoothly rounded edges that increase the product's safety and are comfortable to handle with no sharp edges. This tray features an additional shelf for your convenience. The shelf is perfect for pencils or small accessories. The stand's friction locks help to hold the tray at any angle you set it to. The legs attached to the Jazz stand are both strong and lightweight. Made from diecast aluminium, featuring a super-tough scratch resistant epoxy coating that gives the stand an advanced strength that will put your mind at rest. 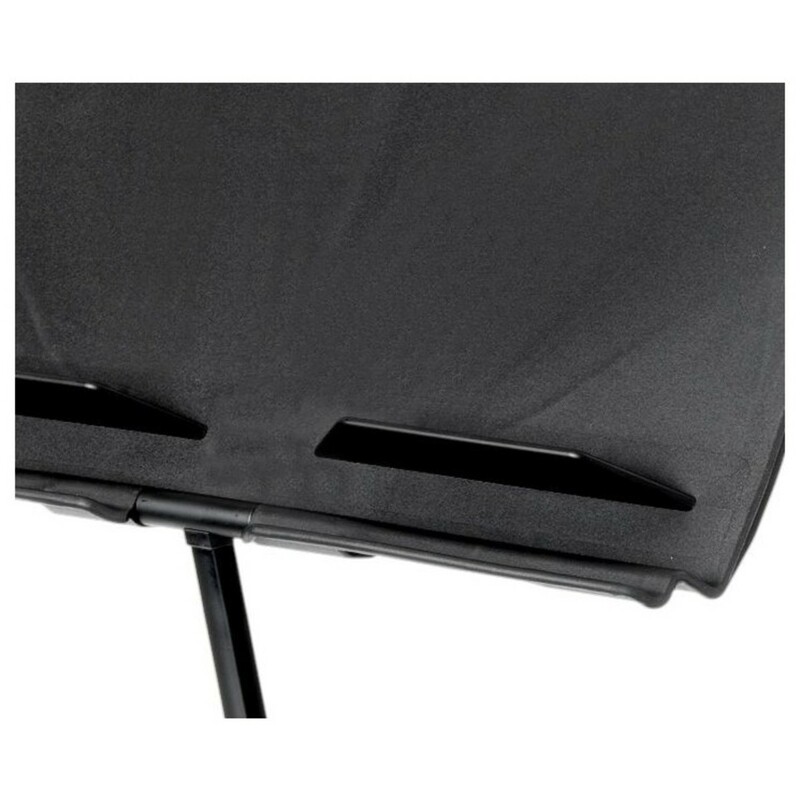 The stand's rubber feet prevent flooring from getting damaged and lessens the sound as it is moved around. 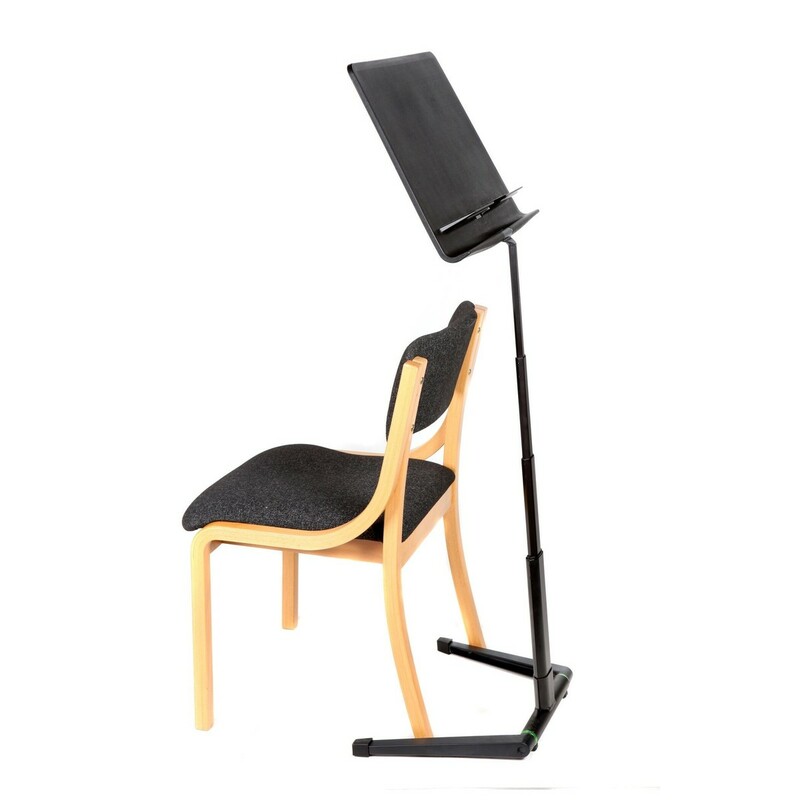 The Jazz stand can be unfolded with its base reversed which allows you to lean it right up against a chair. This is perfect for a musician that plays in a group and needs to tuck their stand behind the person sat in front of them. This Jazz stand is able to go high enough for a standing trumpet player or low enough for a young cellist. With this immense height range the stand is perfect for a wide range of players. 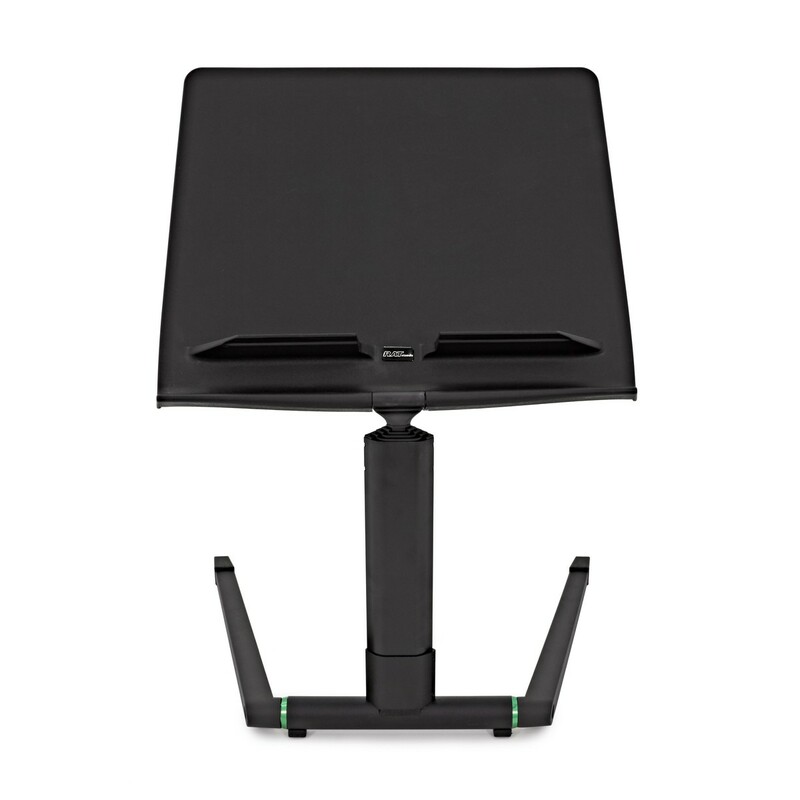 The reversible legs allow the stand to be used as a portable conductor's stand. 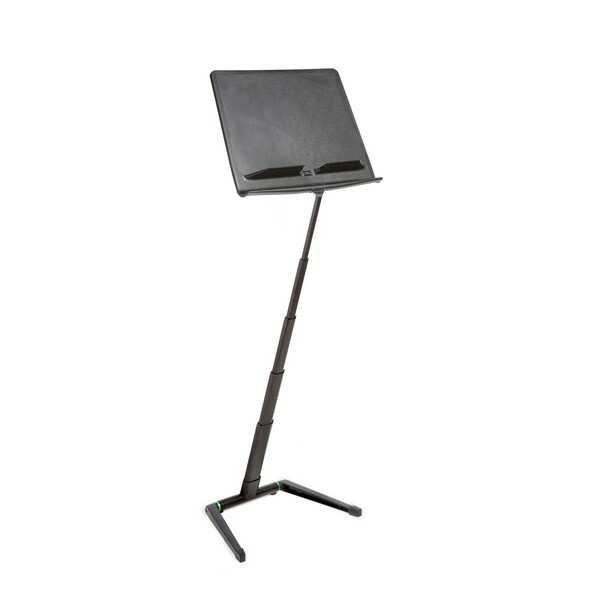 You may also be interested in the RATstands custom case for this music stand.